To me one of the more beautiful sights in spring is seeing all the trees in bloom. The past couple of years I have been doing some grafting on fruit trees at Casa Maria in Milwaukee, at the farm in Watertown and even at my parents house. Grafting describes any of a number of techniques in which a section of a stem with leaf buds is inserted into the stock of a tree (UMN Extension Grafting Site). So the reasons for doing this are many. For example you have a favourite kind of apple tree and you want to duplicate it. The problem is that planting the seed from your favourite apple tree will not give you the same kind of fruit. That is to say planting the seed from a Jonagold will not give you a Johnagold tree. So instead you take a bud or a twig/stem from the Johnagold tree and splice it into another apple tree. 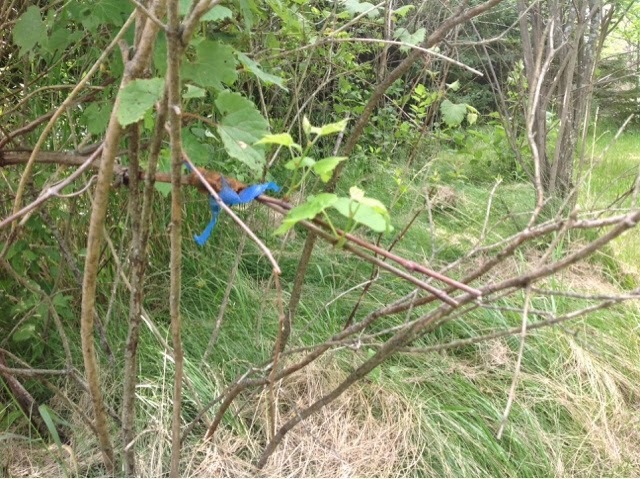 This way the genetic material from the Johnagold will then be in the grafted tree. We have lots of grafted trees at the farm. Some are grafted so that the they don't grow to be full sized, others are grafted so that we can multiple varieties from one tree. 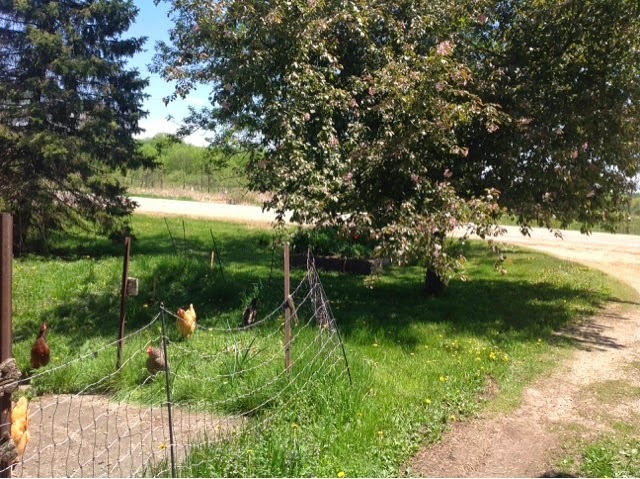 In Milwaukee I grafted a pear tree with several other types of pears. Multiple varieties are needed nearby in order for the tree to pollinate and set fruit. This way I only needed to have one pear tree. The grafts that I did a few years ago now are quite large and look well established. At the farm I grafted a variety of different apples onto the crabapple tree. The white flower is from a standard apple and the grafted branches should bear fruit in just a couple of years instead of a long time that it would take for the tree to grow from seed and then be grafted. An additional plus is that the crab apple is very hardy and well established. 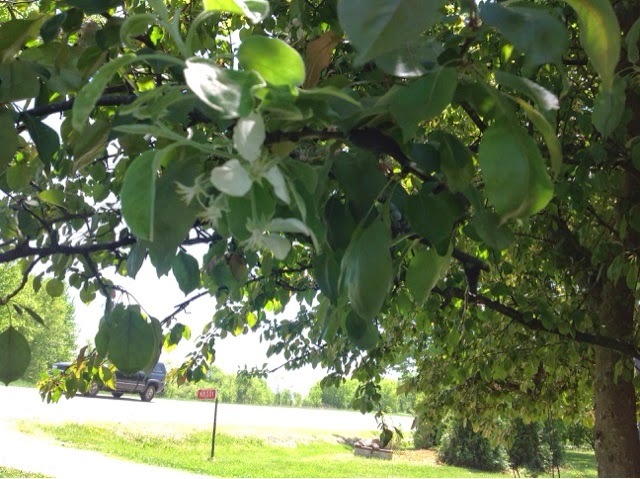 The white flower is the grafted apple onto the crab apple. I also tried something new this year. 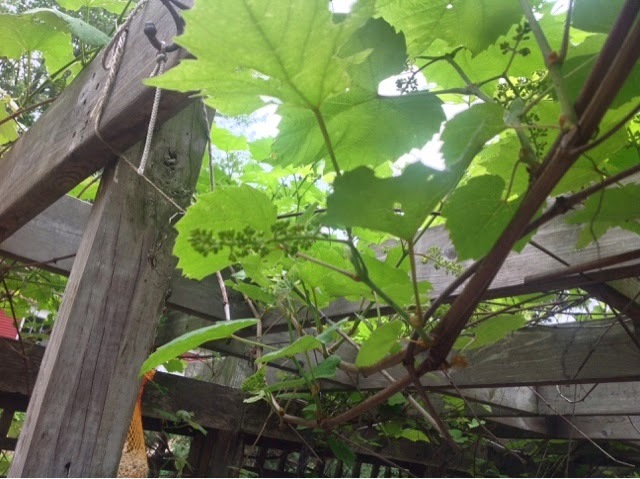 I did some green grafting with grapes. Green grafting as I am calling it is when the scionwood is not dormant. 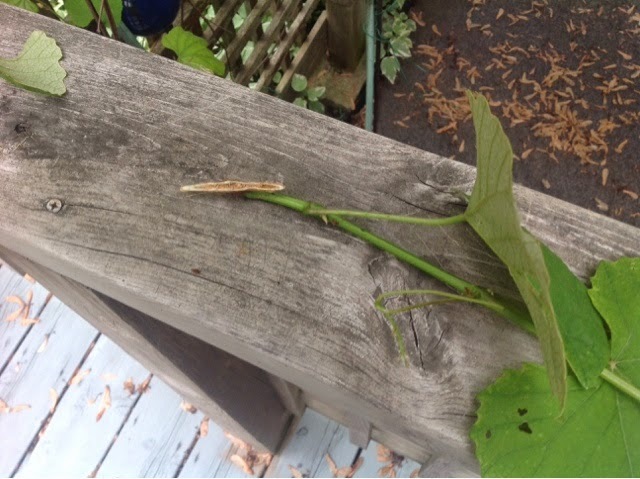 I need some more practice with it in order to get the right amount of a bud to get it to work but this is my first successful cultivated to wild grape graft. I am eager to see what happens next year. 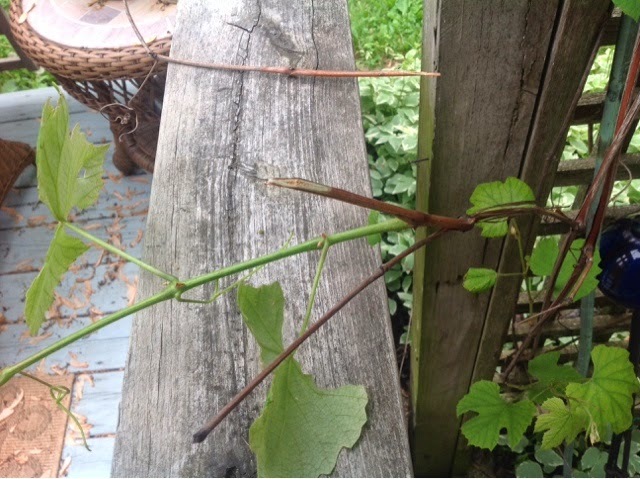 This is the result of my green grafting concord grapes onto a wild grape vine. It actually took and is producing new leaves. A piece of the concord grape cut and ready to be spliced/grafted onto a wild grape vine. This method of budding didn't work as well for me when I tried green grafting. A piece of concord grape vine cut for tongue graft which surprisingly worked. The crab apple tree that has been grafted onto a few times. 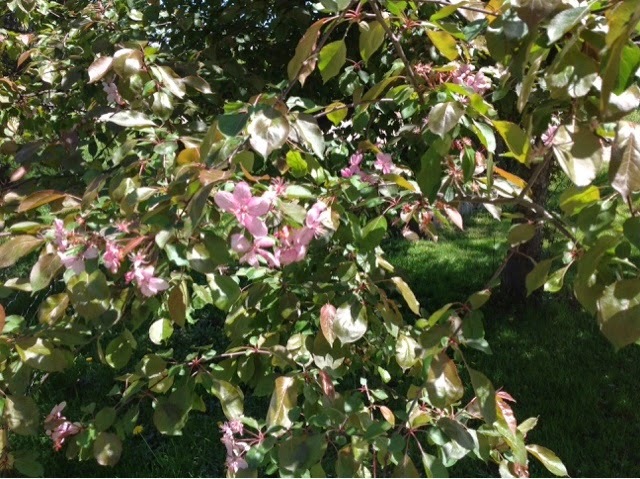 The standard pink crab apple flowers.